Allows to ignore incompatible recipes, helpful to avoid breaking apps using FrameworkBundle LTS versions. We need to update the Symfony bot to allow the conflict key in the manifest.json, ping @fabpot :). Last comments addressed, thanks for the review guys. @weaverryan I've updated the screenshot in the description. 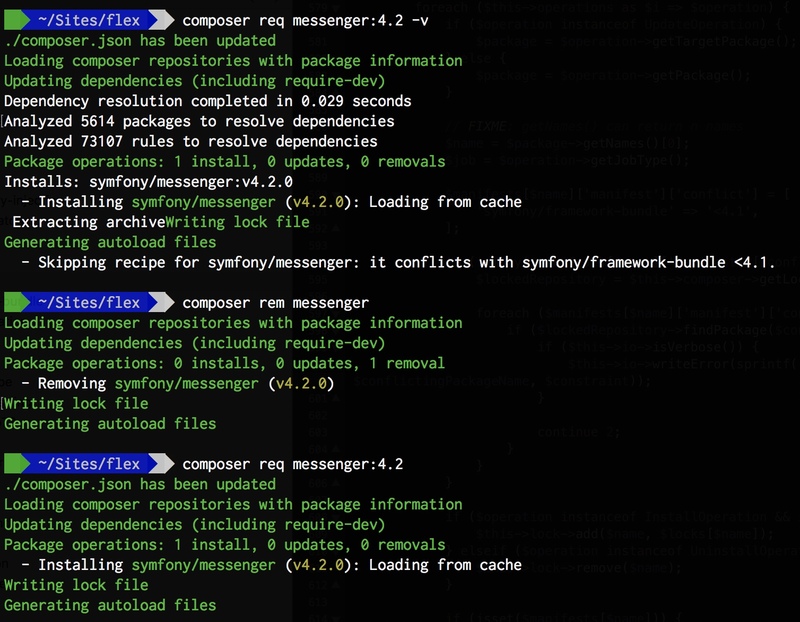 We need to update the Symfony bot to allow the `conflict` key in the `manifest.json`, ping @fabpot :).